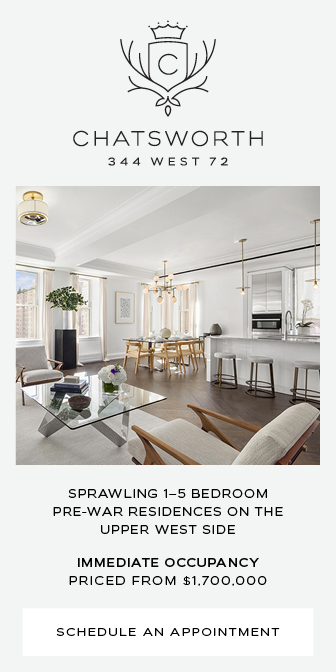 YIMBY recently went on a hard hat tour of Skyline Tower, aka 23-15 44th Drive. The residential skyscraper will eventually rise 778 feet over Long Island City and become the tallest building in Queens, as well as the tallest building in New York City outside of Manhattan. 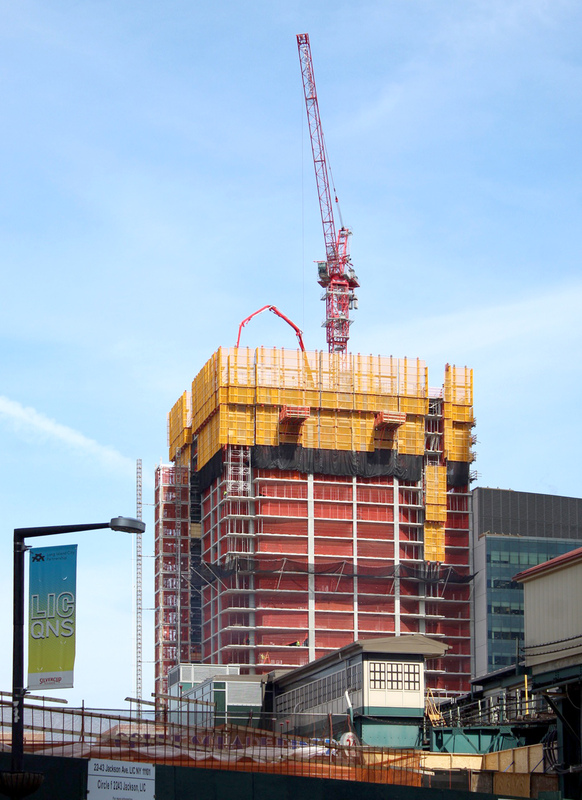 Work has progressed to the 26th floor of the future 67-story tower, and construction crews have been pouring the reinforced slabs at a rapid rate of two floors per week. 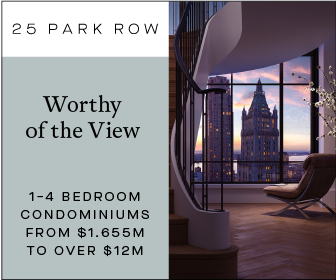 Already several floors above street level in the heart of Long Island City, Court Square City View Tower, aka 23-15 44th Drive, is rising steadily towards its 778-foot tall pinnacle above Queens. 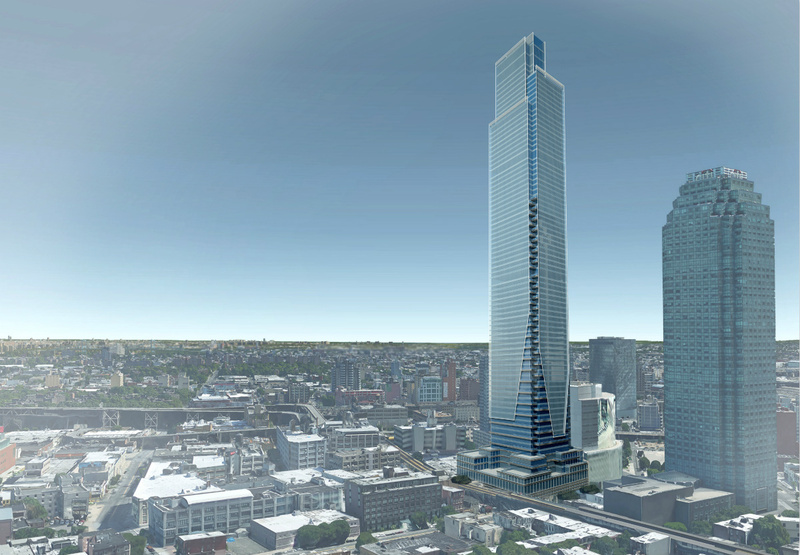 The building will have 67 floors of residential living, and rise higher than the stepped crown of the Citibank building, aka One Court Square, which will make it the tallest building in all of Queens. 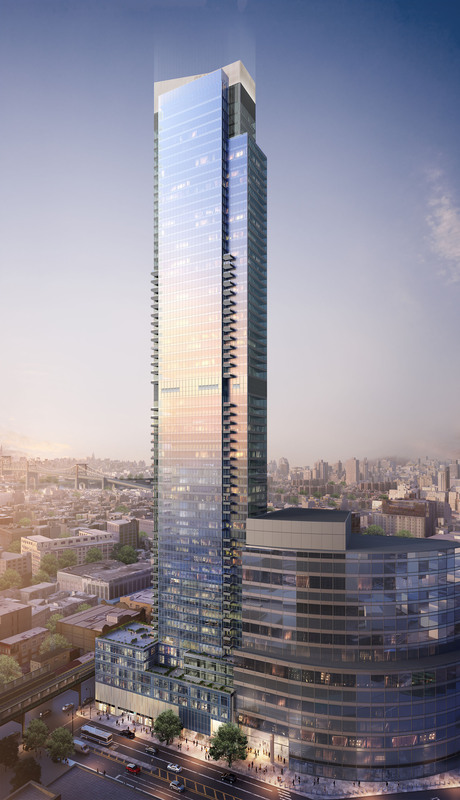 CSCVT is currently the 22nd-tallest tower rising in the Five Boroughs overall, and is set to contain nearly one million square feet of space, with 802 units. 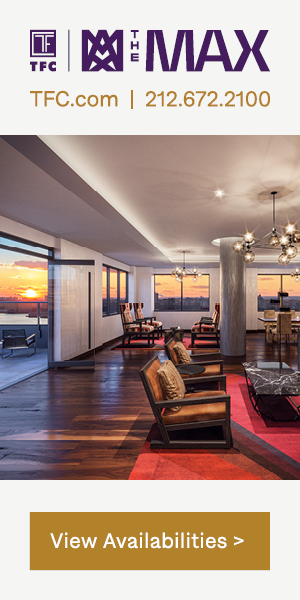 The project is being designed by Hill West Architects while the developer is United Construction & Development Group. 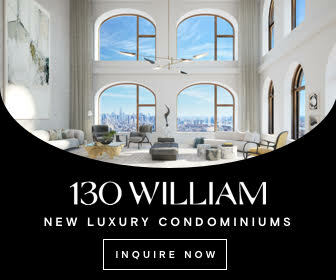 Renderings have been revealed by Hill West Architects for Court Square City View Tower, expected to rise at 23-15 44th Drive, located on the corner of 23rd Street in the heart of Long Island City. 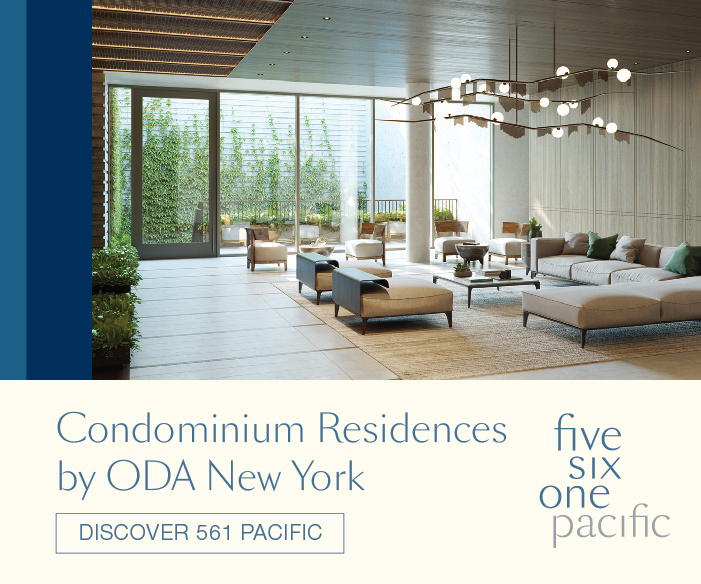 The architect’s website states the mixed-use project will rise 66 stories and contain 802 condominium units. 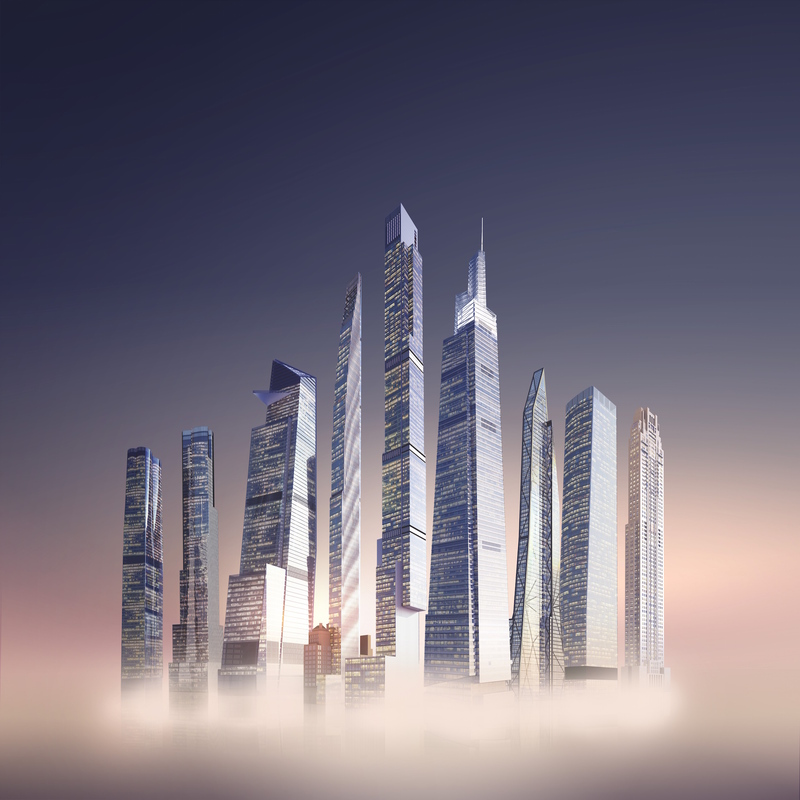 New building applications for single and multi-family residential developments in New York City saw a major slowdown in 2016, as the fading boom following the changes that occurred at the Department of Buildings in 2014 began to slack further. Numbers have plunged by over half since 2014, and by 38 percent since 2015. The full report with spreadsheets covering every new building application is available at the research store. The 79-story tower headed for 23-15 44th Drive in Long Island City will likely become the first supertall building in Queens.